West Antarctica warming faster than thought, but not total surprise considering whats happening at other Pole and around the world. We know since discovery of the ozone hole and cause that we can change our behavior for the better–scientists, lawmakers and citizens made change to ban CFCs. We can also reduce our carbon footprint. Rest of 2012 and 2013 let’s do it. 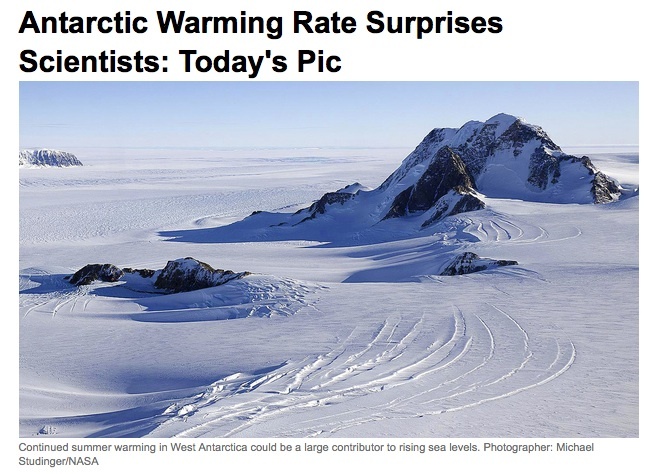 The National Center for Atmospheric Research (NCAR) is concerned about the future contribution of Antarctica to sea level rise in a new study finds that the western part of the continent’s ice sheet is experiencing nearly twice as much warming as previously thought. Report about the study byJoseph Romm.